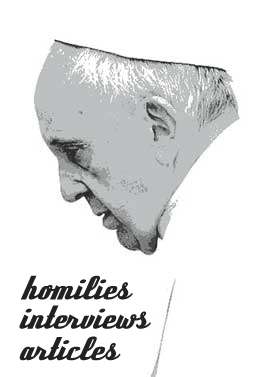 TEAMS OF ELDERS: Moving Beyond Viri Probati, by Bishop Fritz Lobinger. Claretian Publications, 2007. 94pp. Fritz Lobinger, the retired bishop of Aliwal North diocese in the Eastern Cape, has presented again his case for the Church to find a new way of tackling head-on the harmful shortage of priests in so many parishes. He does not suggest that the whole Church should launch out on this new way at once, but that a pilot scheme be initiated in one diocese or more. If this turns out well, the Church may be tempted to try it in more dioceses and, possibly, adopt it as satisfactorily workable. He scorns the popular concept of priestly ordination for viri probati, men of proven faith and leadership. He argues that this concept is shallow and has never been analysed critically. It cannot be the first step towards new vocations because it neglects the more important concept of community building. Without a community of strong faith and cohesion, new priests will hardly make a difference, especially because they will automatically perpetuate the undesirable divide between clergy and laity. Teams of elders, on the contrary, based on the earliest days of Christianity, will not be clerics, although they will be sacramentally ordained priests. Their ministry will be localised to one parish or community under the guidance of celibate animator priests whose function will be similar to that of an overseeing bishop. They will not be replacement priests who come from outside, but men from the local community who are known and respected and who will work voluntarily as a team without remuneration, not as individuals, to build up their community into a truly Christian fellowship. Bishop Lobinger presents a clear and rationally argued case, competently anticipating possible problems and objections. He concedes that the venture could take years to prove itself. He lays out a sample application to ask the Holy See for permission to go ahead with such a scheme. His reasoning has merit and the pilot scheme could easily be put into probationary practice in some parts of South Africa and other lands with an equivalent pastoral problem, not to mention in the Church as a whole.